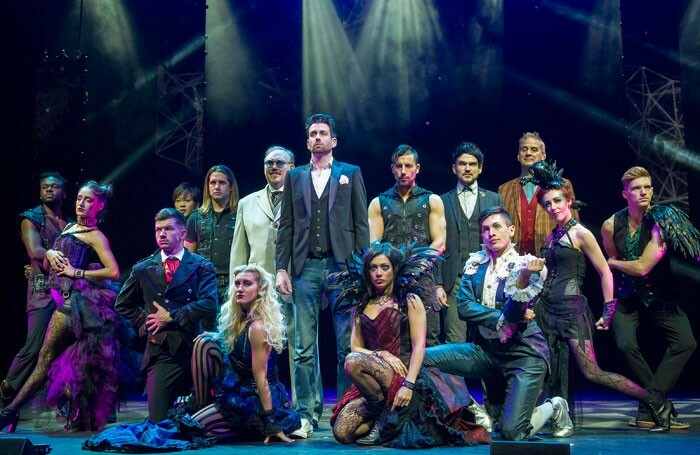 After last summer’s locally-produced magic variety package Impossible comes an Australian-born but already internationally franchised show, The Illusionists, for its first West End run. It opens here contemporaneously with its second consecutive Christmas run on Broadway, while other editions are also opening in Dubai and Mexico. A little of this sort of thing can go a long way, and they’ve pulled off a sleight of hand of their own to make acts who offer alternately impressive and routine variety turns go the distance, so to speak, together. The result is a bit more than the sum of its individual parts, which is a kind of magic itself. Several of them involve card or paper tricks, including the masterful Den Den who has blank cards take on images before your eyes or transform themselves into other objects, and Britain’s Got Talent runner-up Jamie Raven who reconstitutes torn-up newspapers to make them whole again. There’s proper physical daring with crossbow artist Ben Blaque who shoots an apple off his own head, and escapologist Andrew Basso who escapes from chains while submerged in a transparent underwater tank. 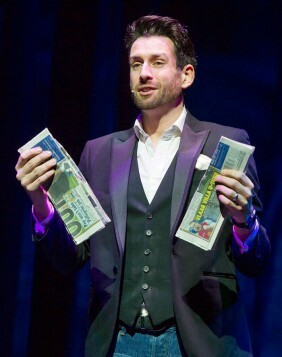 A collective mind-reading of the audience by Colin Cloud has an impressive Derren Brown kind of pay-off, though Brown builds his act across a full-evening time frame. David Williamson introduces a pantomime-style routine of engaging four kids from the audience which is genuinely delightful. 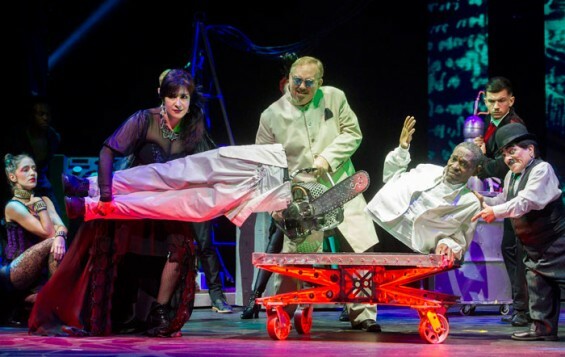 All of this is played out against an electronic rock ‘n’ roll soundtrack, played live by musicians stationed in the stage-side boxes, that lends the evening a slightly ersatz flavour, like a revival of Jesus Christ Superstar without the good tunes. It’s clearly aiming to be Las Vegas glitzy, with regulation glamour dancers also provided, but ends up sometimes feeling a bit end-of-the-pier.